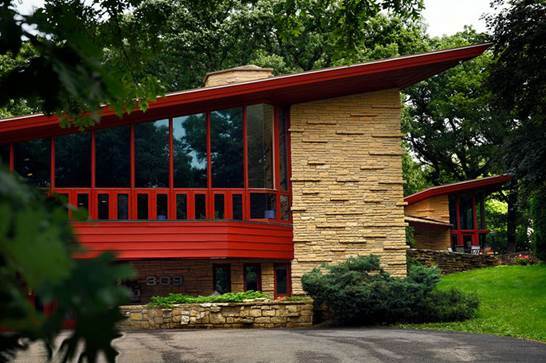 Iconic American architect Frank Lloyd Wright’s 150th birthday was last month and, while Wright died over 50 years ago, his design legacy still lives on in many famous buildings and landmarks throughout the world. But what you may not know is that common folk and architectural enthusiasts alike can rent and stay in homes and structures designed by none other than the man himself! So forget Airbnb when you’re making your travel plans this summer; in honor of FLW, below is a roundup of a few spots you can stay to up your travel game! 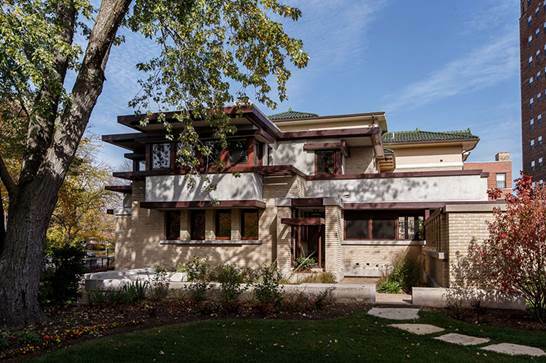 The Prairie style house in Chicago, Illinois, was built in 1915 and is available for overnight stays as well as for hosting events. The home can accommodate up to six guests—it has two bedrooms and a lounge room with a pull-out sofa bed. Rate: $495 to $1,295 per night; emilbachhouse.com. Located on the shores of Lake Michigan in Two Rivers, Wisconsin, this home (also known as Still Bend) was a LIFE Magazine “Dream House.” The four-bedroom and two-and-half bath house can accommodate up to eight people for a minimum of two nights and maximum of seven nights. It’s also available for weddings and other events. Rate: From $395 per night; theschwartzhouse.com. 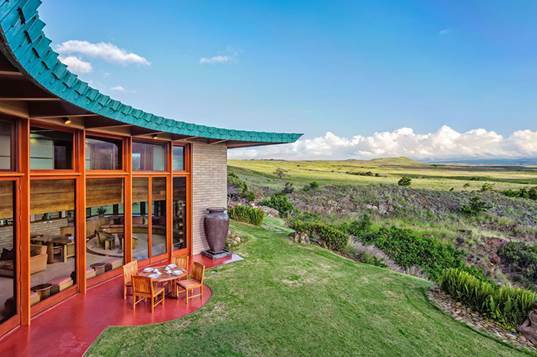 This three-bedroom, three-and-a-half bathroom house is the only Frank Lloyd Wright home built in Hawaii. It’s located in the town of Waimea on the Big Island’s Kohala Coast. Guests can enjoy beautiful ocean views and an outdoor lava rock hot tub. Talk about a room with a view!! Rate: $800 per night; vrbo.com. Located on the top floors of Wright’s only skyscraper, the 19-room hotel first opened in 2003. 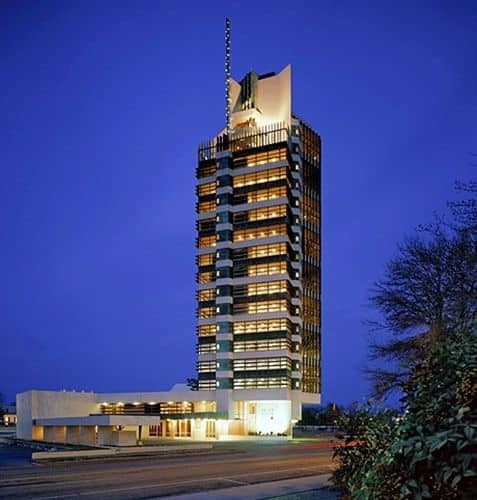 The Bartlesville, Oklahoma skyscraper was originally built as the headquarters for a pipeline construction company. While the famed architect did not design the hotel rooms—only the building itself—the decor is an homage to Wright’s aesthetic. Rate: Call hotel to confirm; pricetower.org/stay. 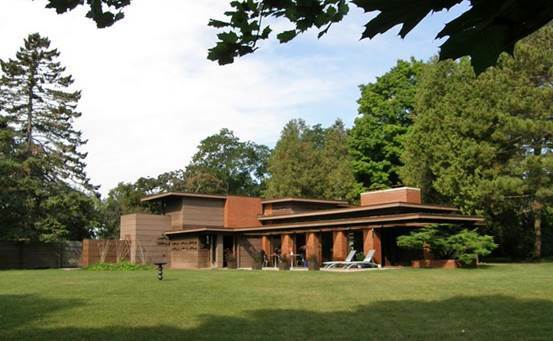 One of Wright’s Usonian Homes, this five-bedroom, six-bathroom house can accommodate up to five guests. There are over 100 windows and 100 light fixtures throughout the Austin, Minnesota property. Guests can enjoy the slate patio and three floor-to-ceiling fireplaces. Rate: $271 per night; vrbo.com.